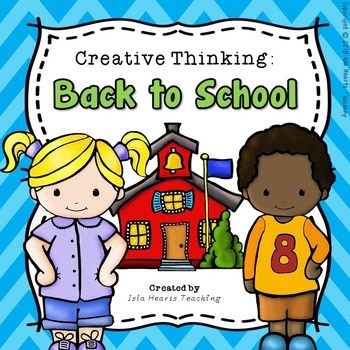 This Back to School Creative Thinking packet allows students to think outside the box in fun, inventive and meaningful ways. 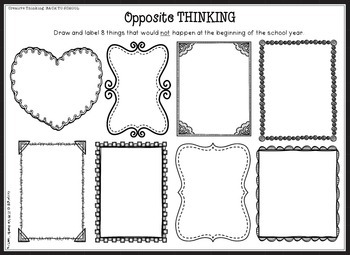 There are ten creative thinking skills highlighted in the pack, with multiple worksheets to accompany each skill. 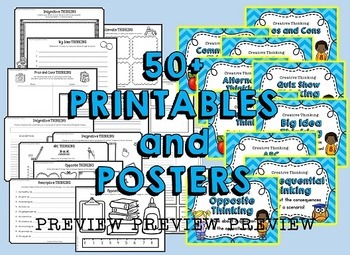 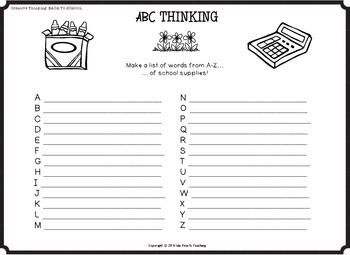 Sheets can be used individually -- or made into a booklet for classroom use.